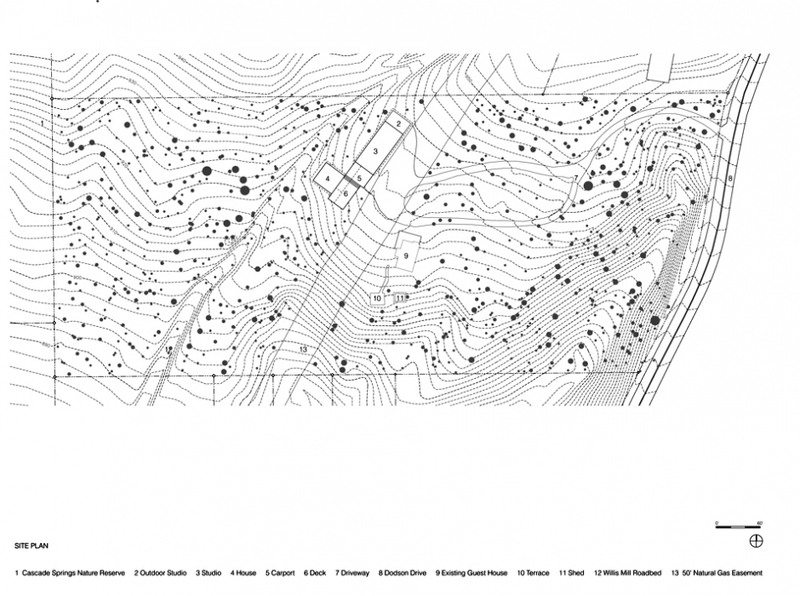 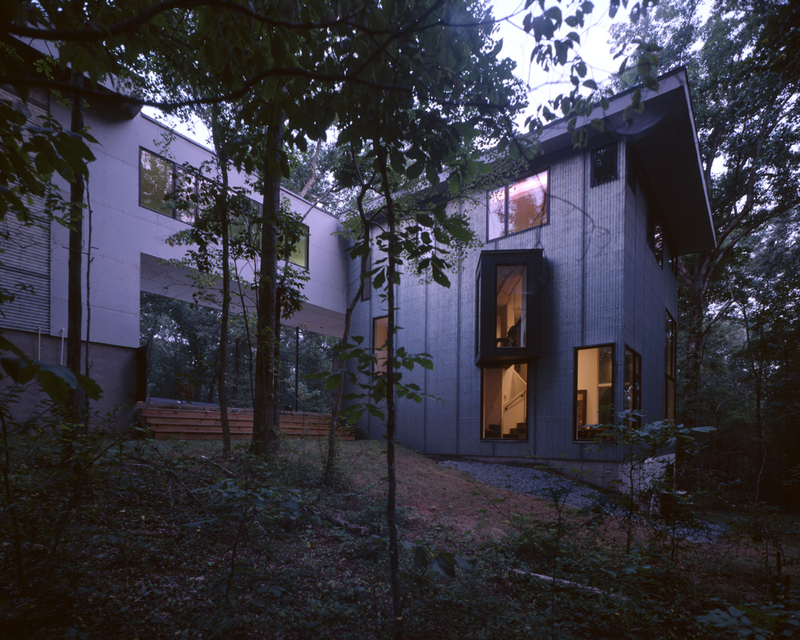 The site is a 7.5 acre hillside in southwest Atlanta. 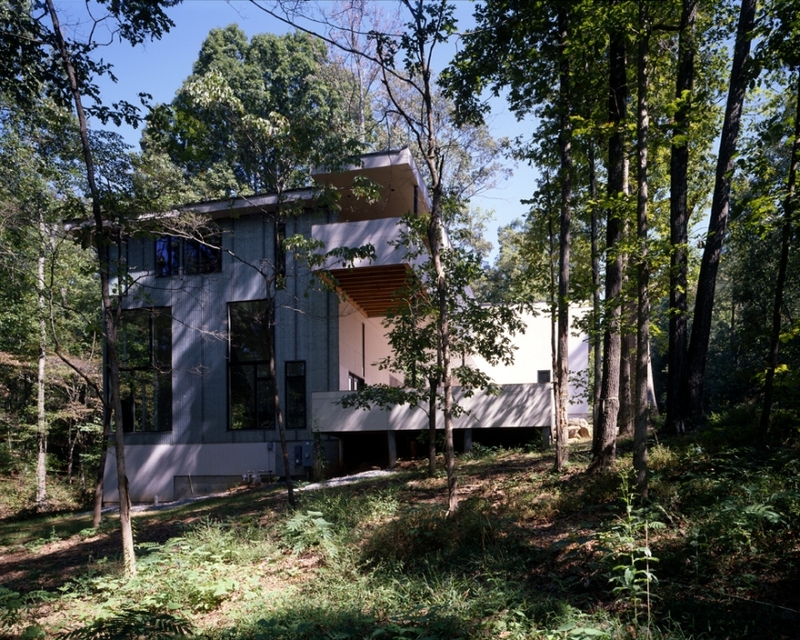 It is heavily wooded, except for a single 50 foot wide clearing dividing the lot into two halves. 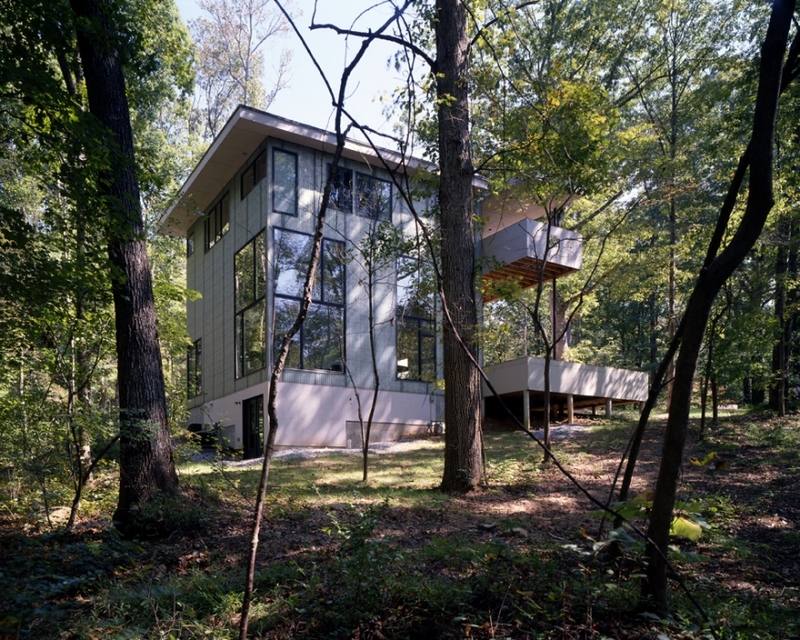 There are also several remnants from the Civil War, most notably an overgrown roadbed that led to Willis Mill. 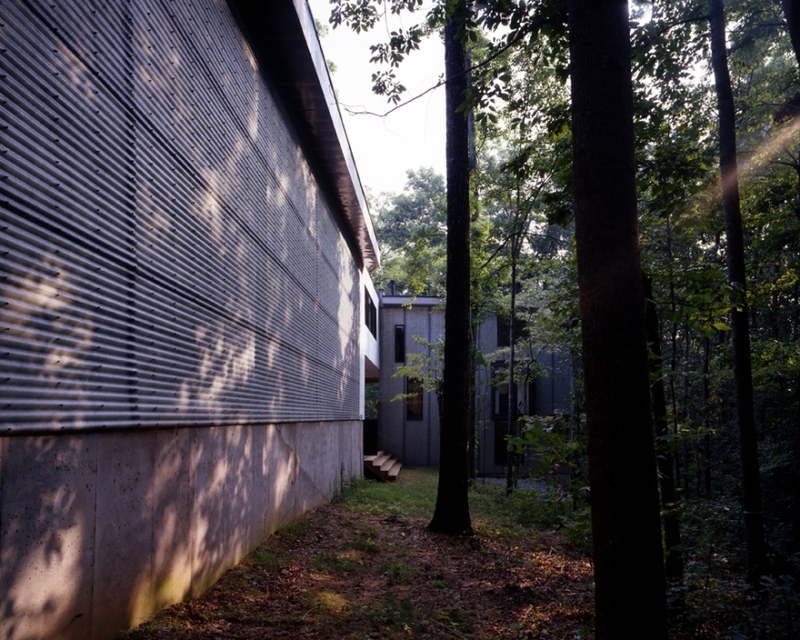 The new buildings are situated between these parallel linear cuts. 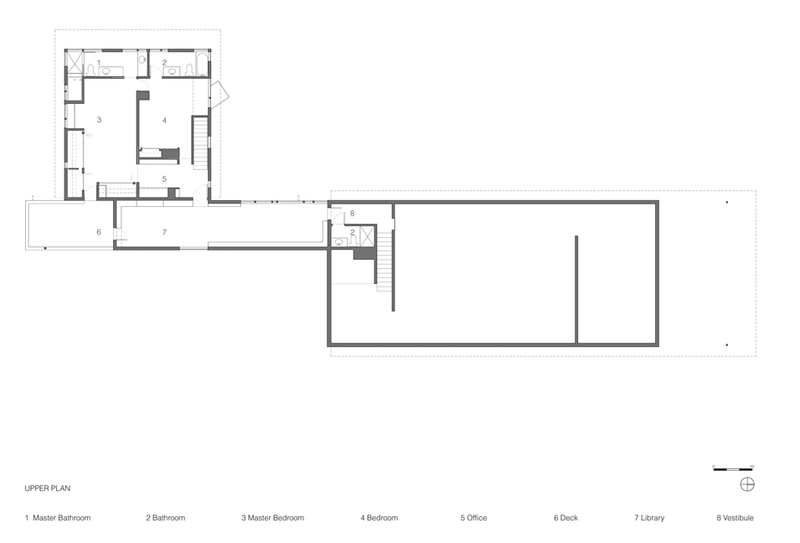 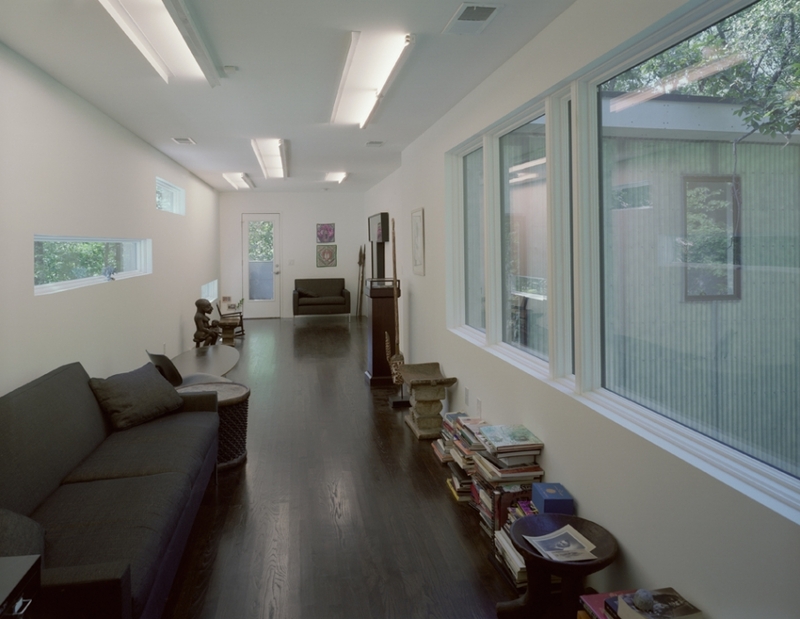 The client, an artist and his family, currently live in an existing house on the same site. 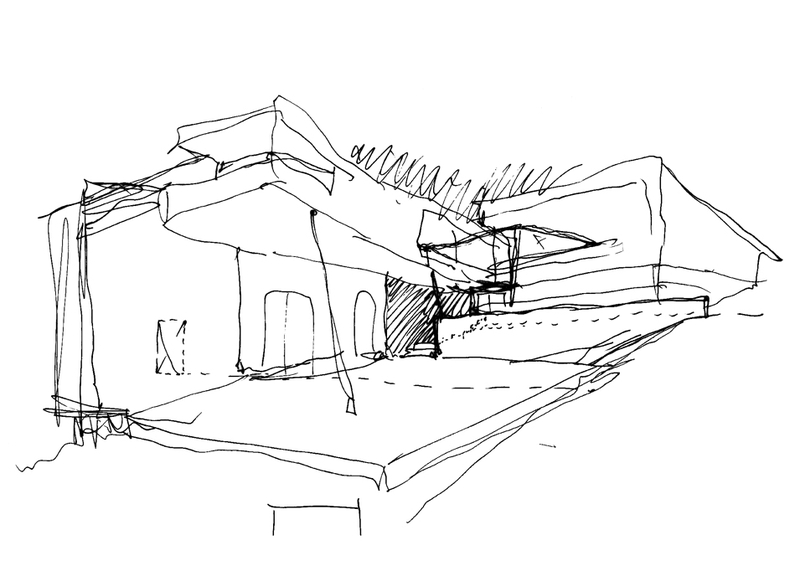 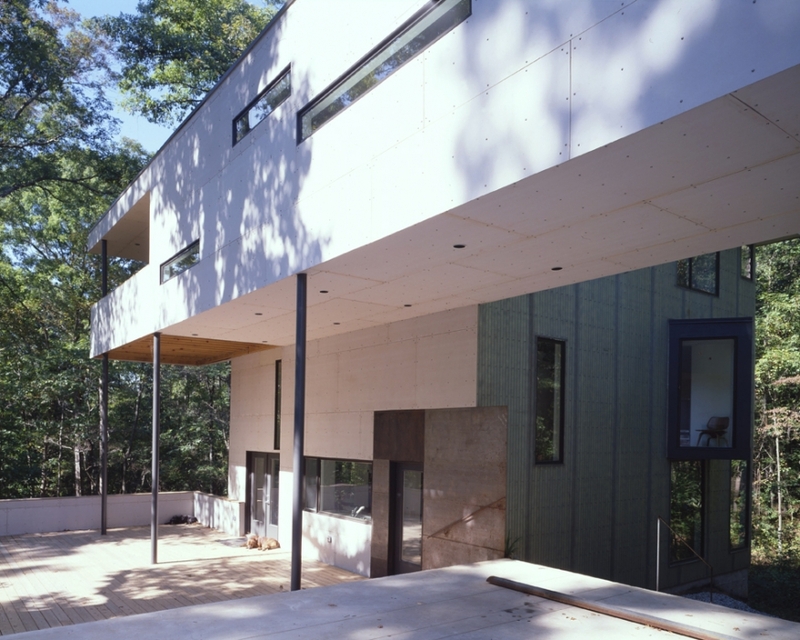 Located opposite the existing structure, the new house and studio make a counter-axis across the clearing. 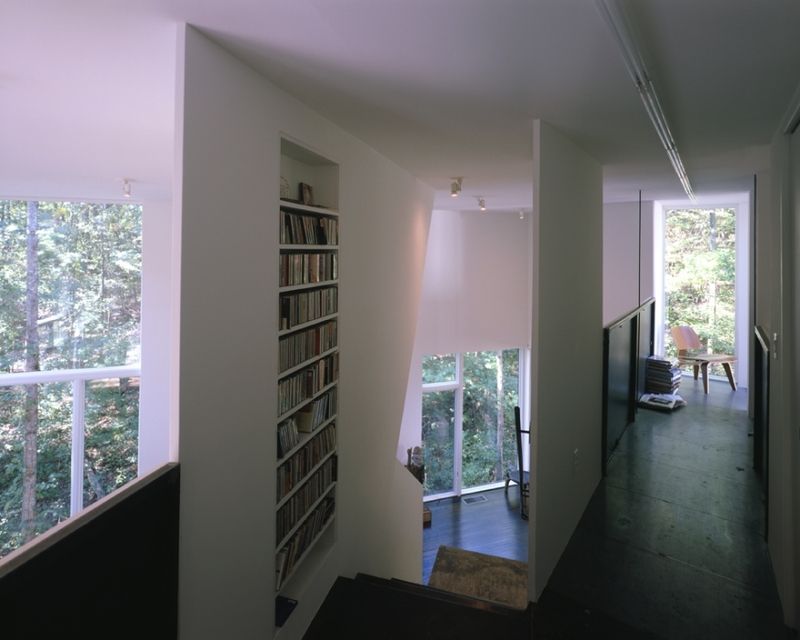 The house and studio are connected on the upper level by a library. 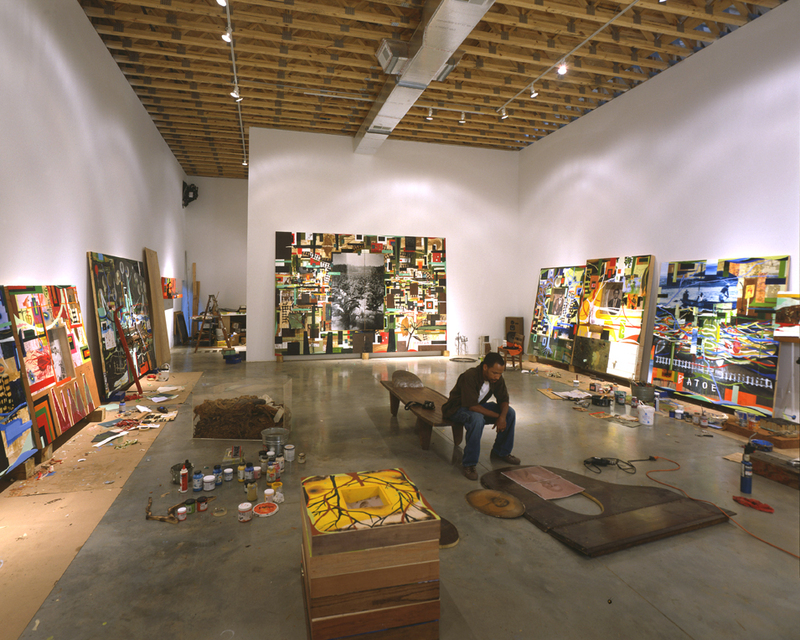 The library carries many of the sources used by the artist within his work. 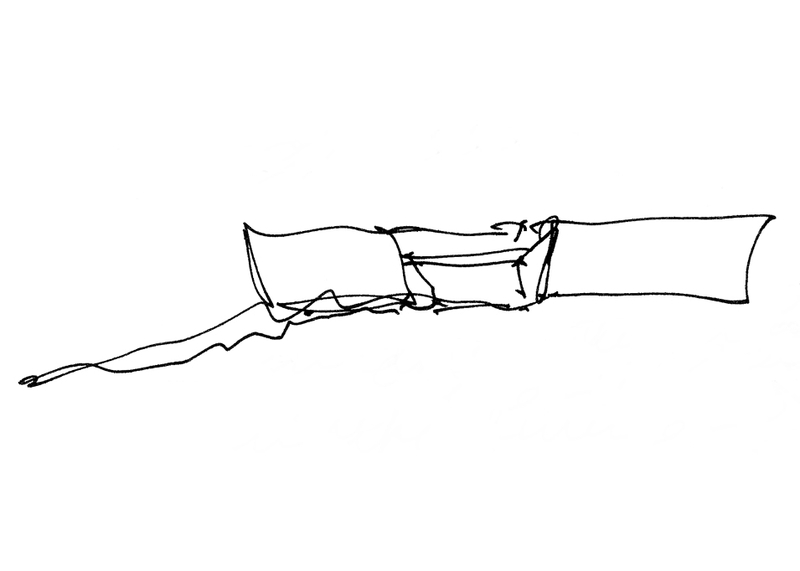 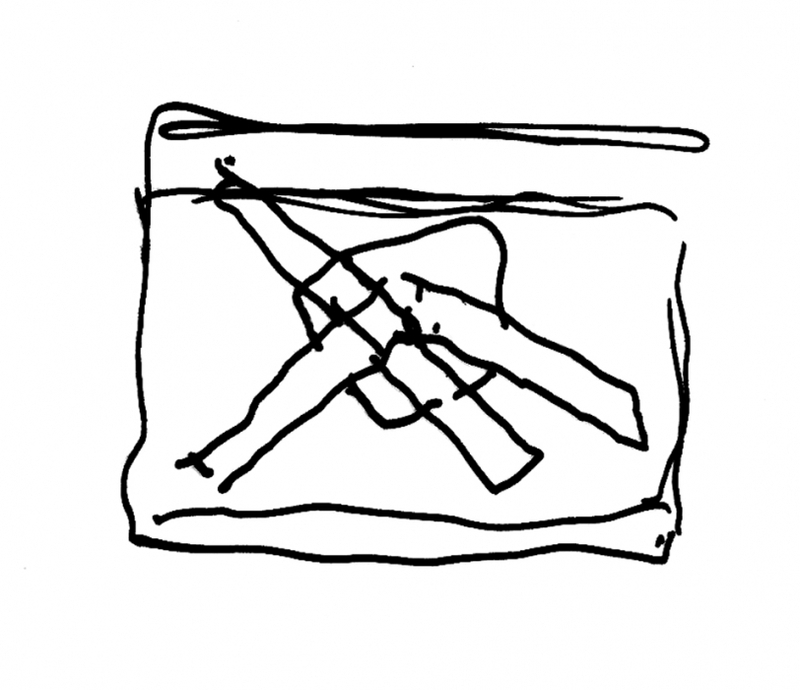 It is a link between the perpetual ‘everyday’ and those elements that take root, crossing time. 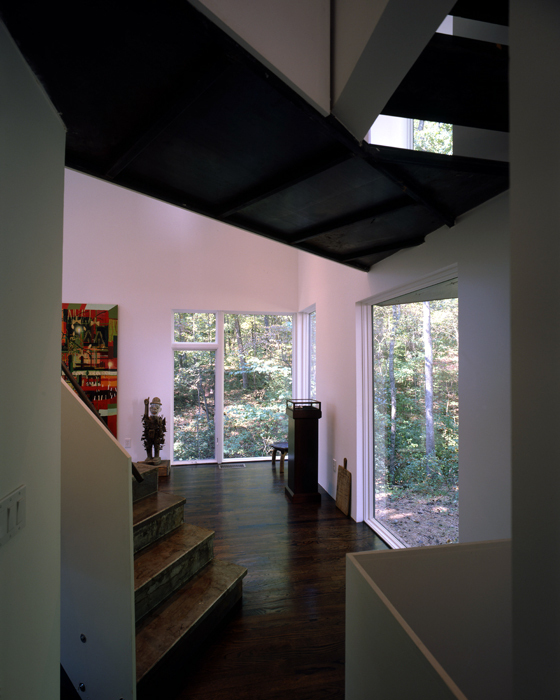 This piece floats over the entry. 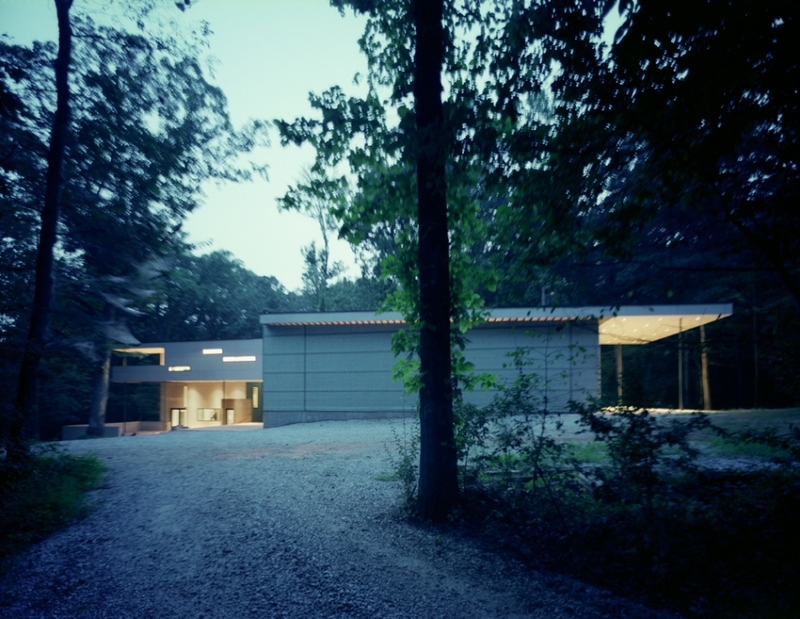 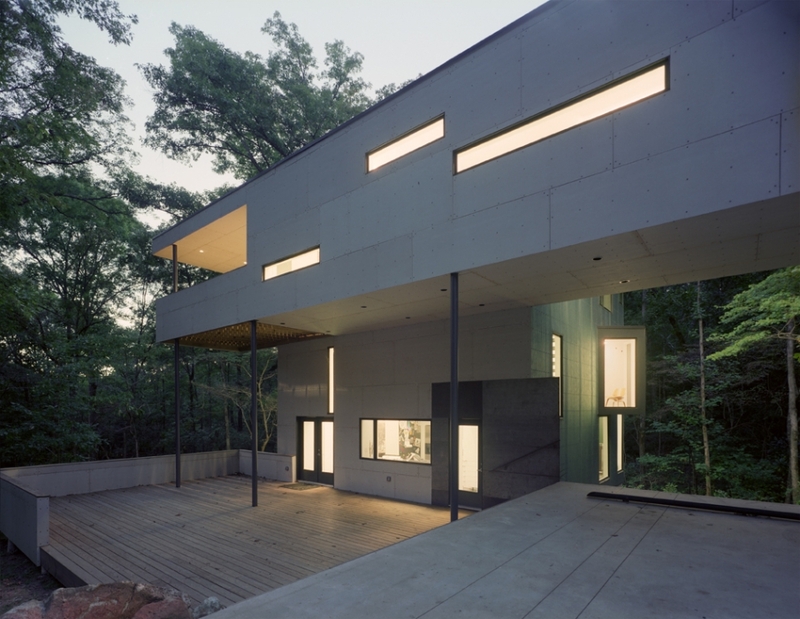 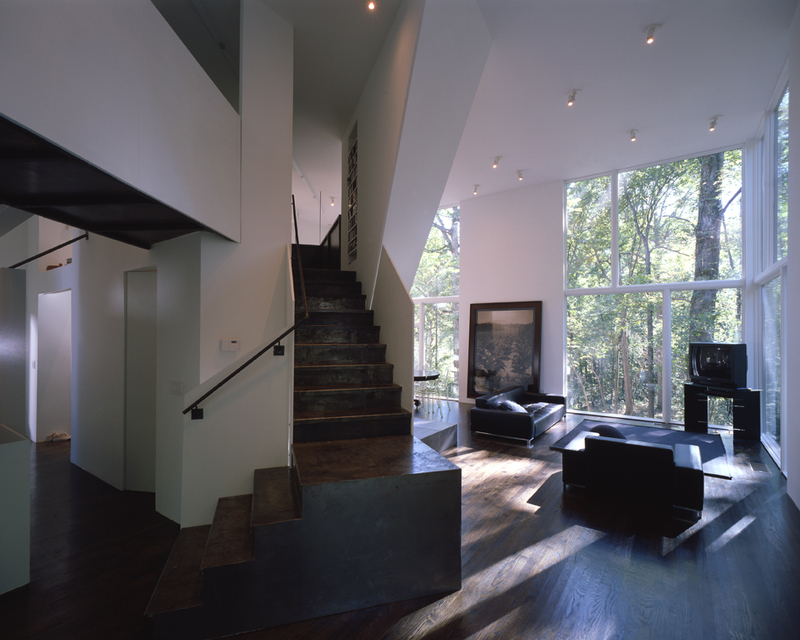 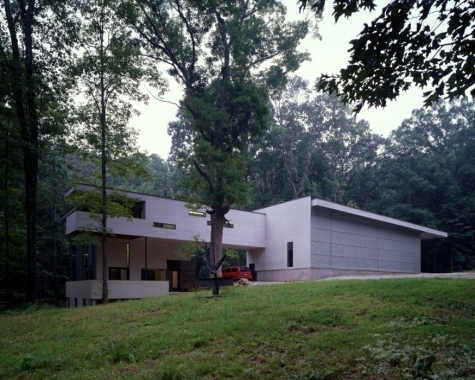 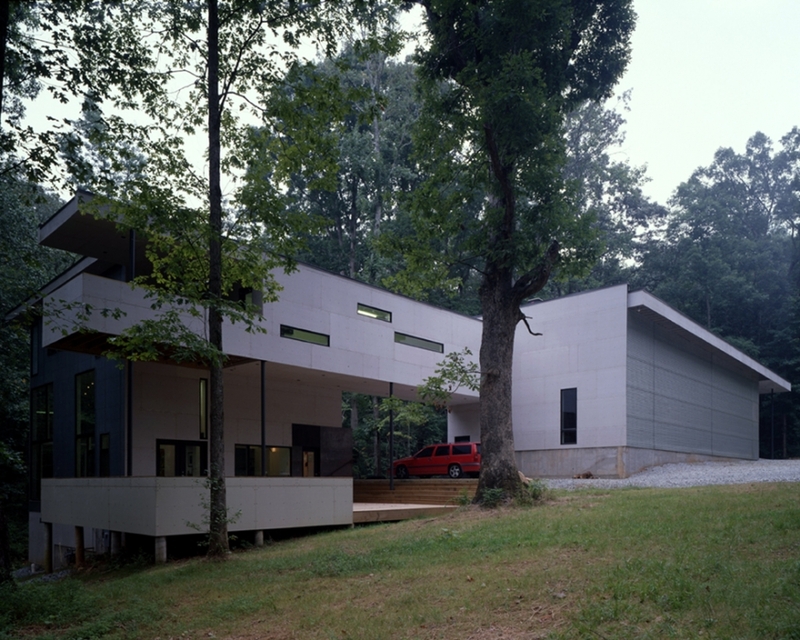 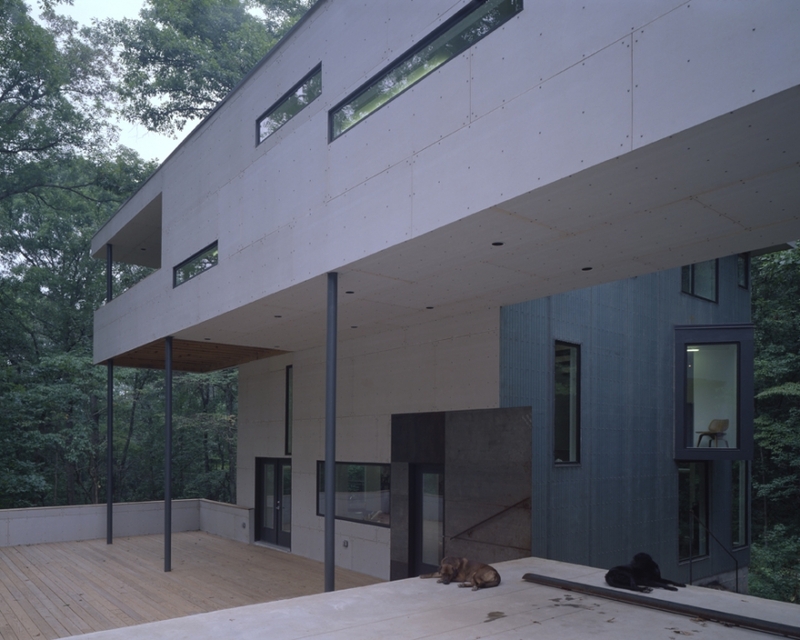 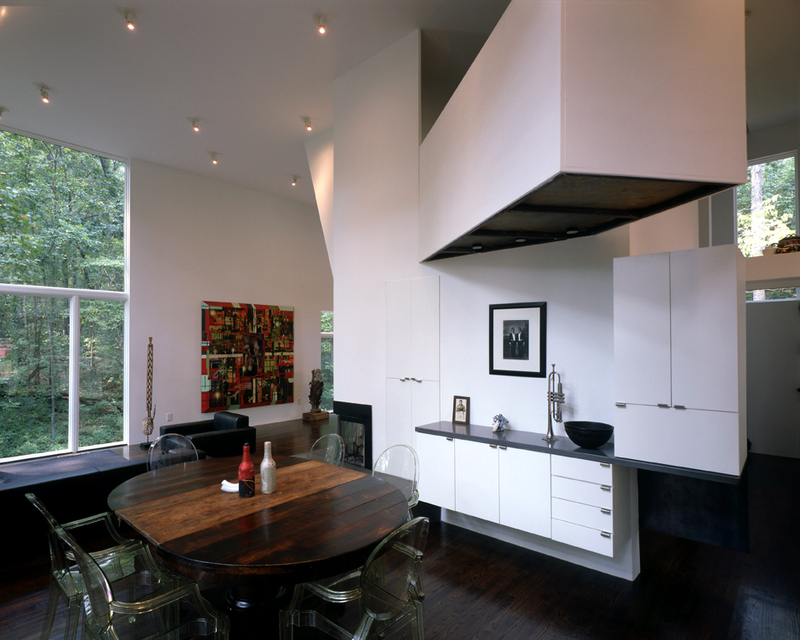 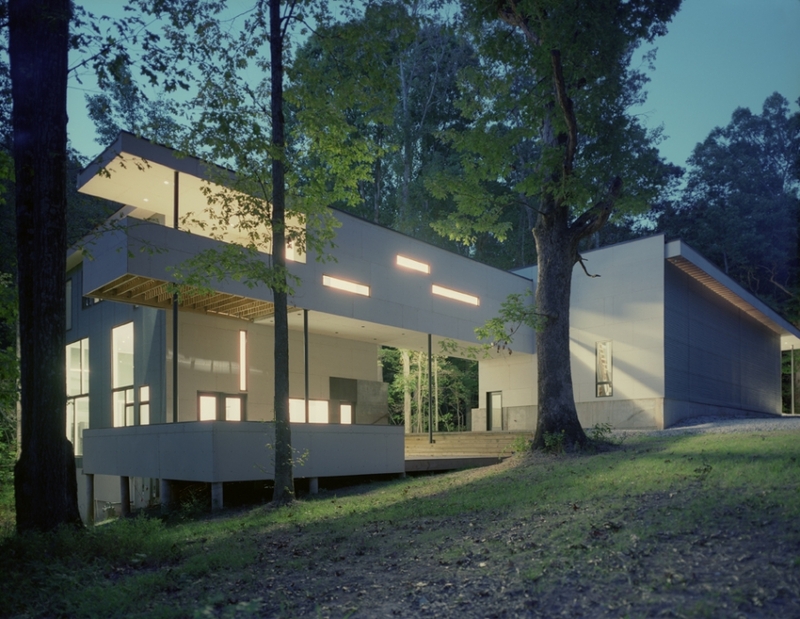 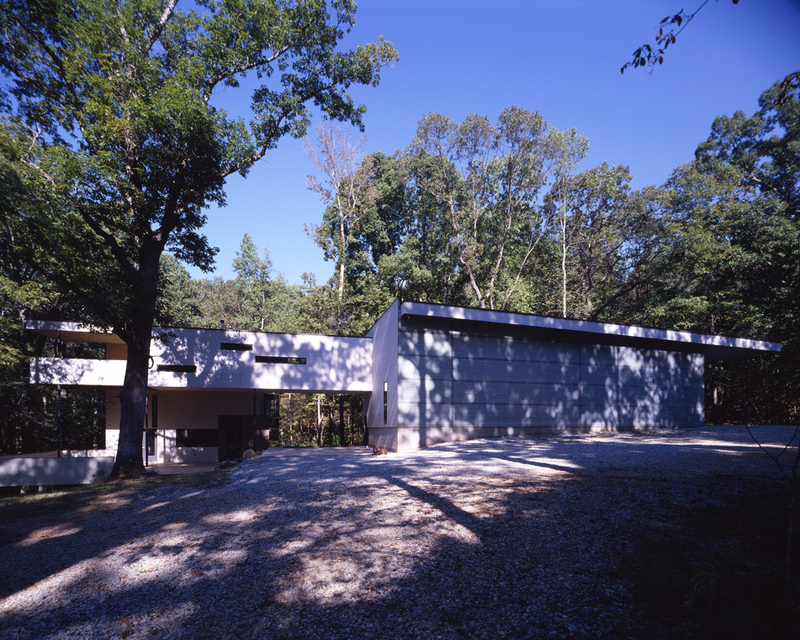 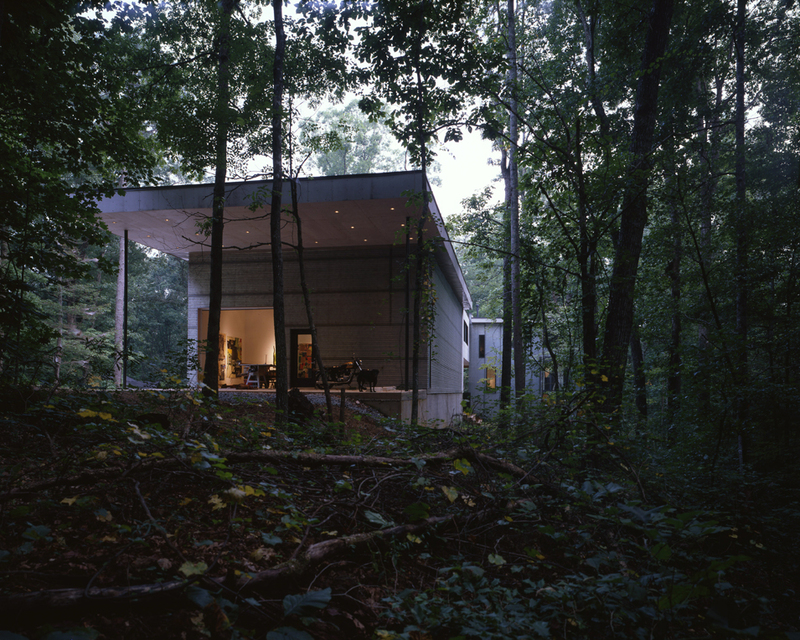 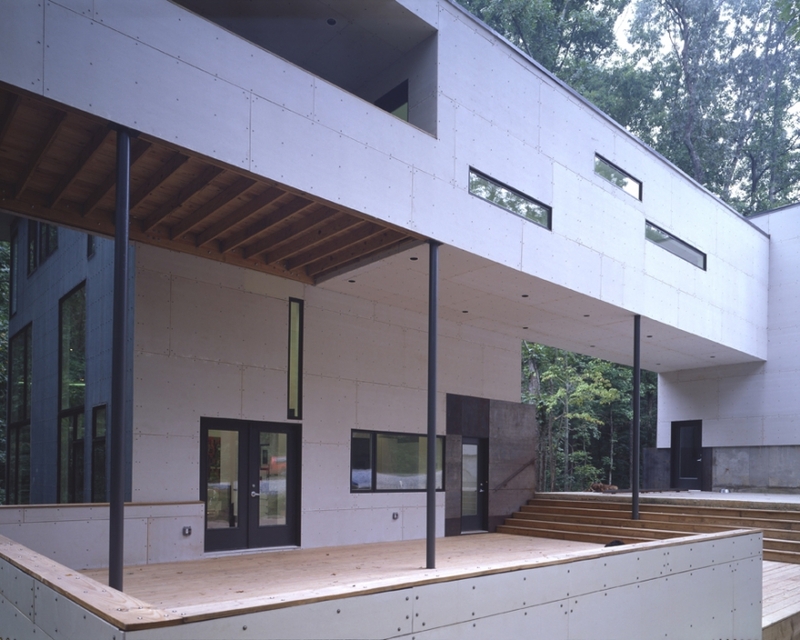 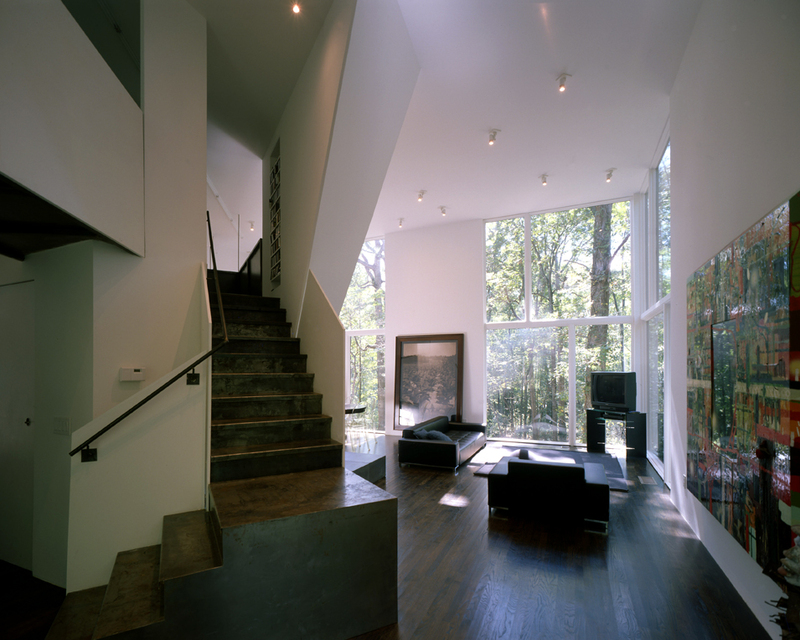 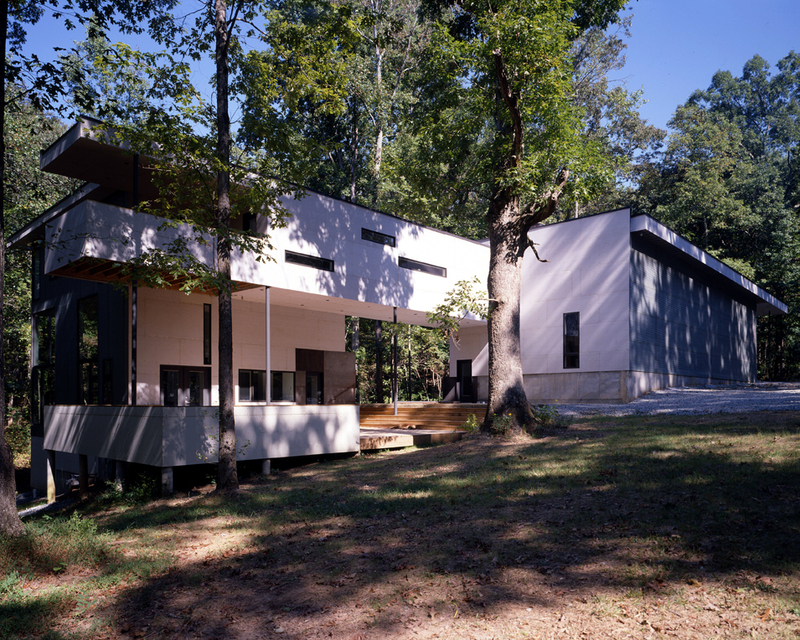 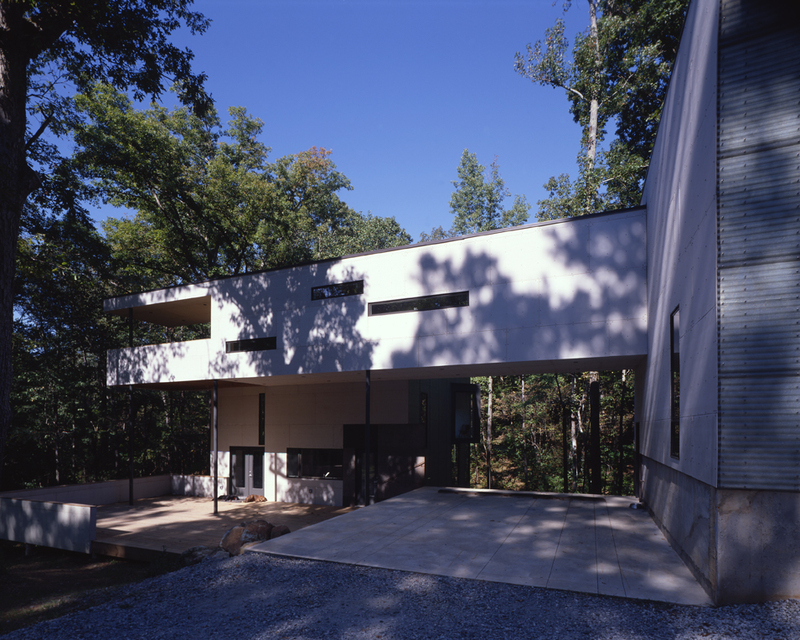 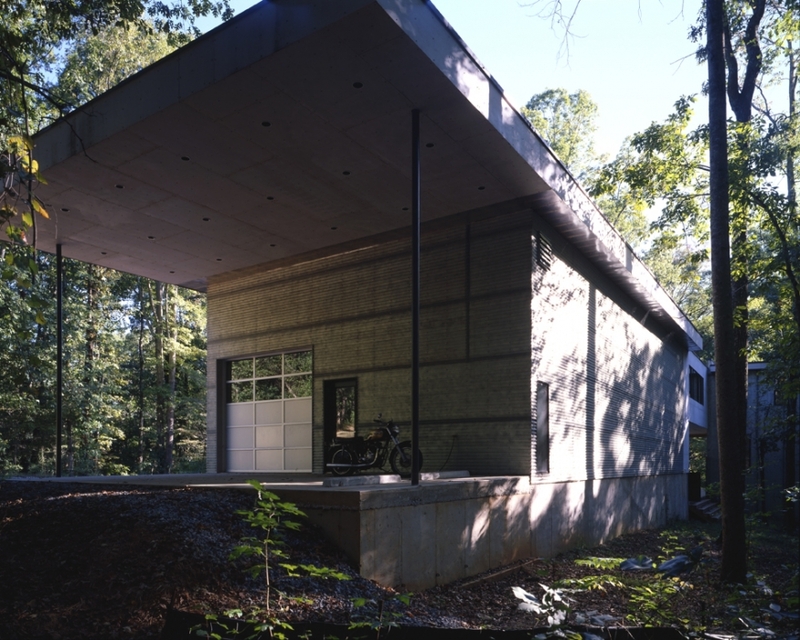 Lifted above the ground it allows the landscape and woods to flow between the house and studio. 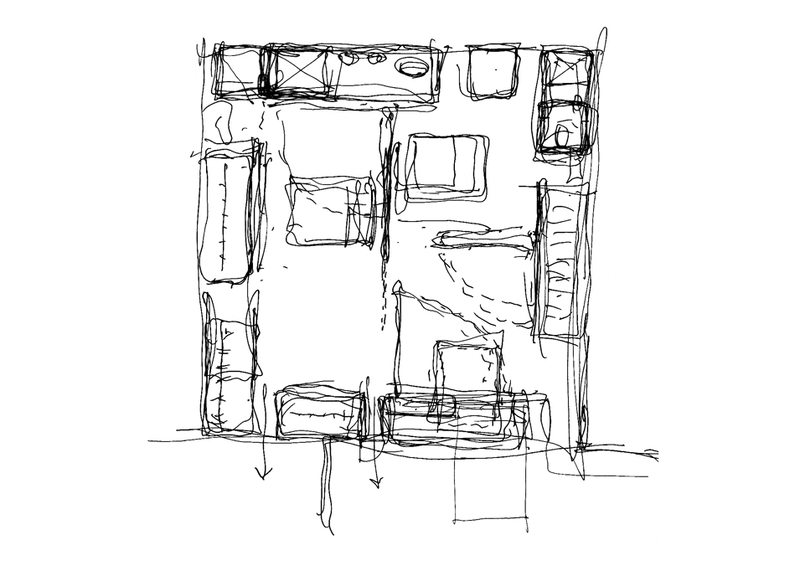 Within the house the plan develops in two manners. 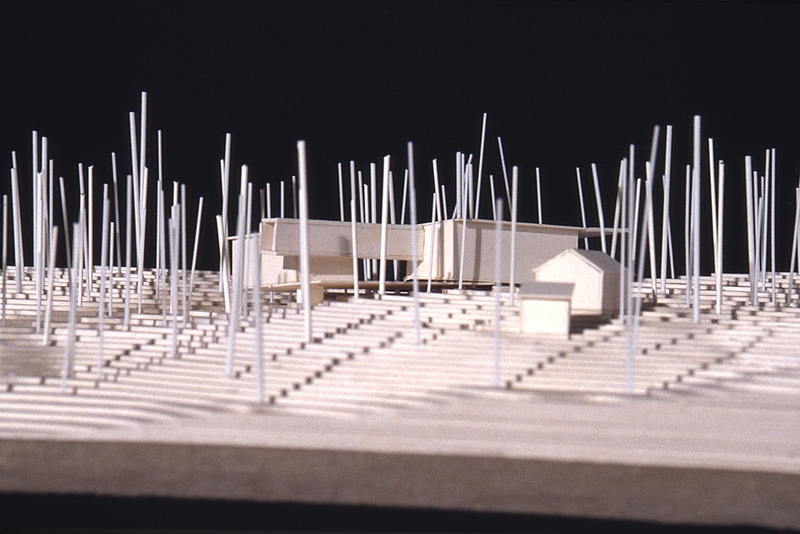 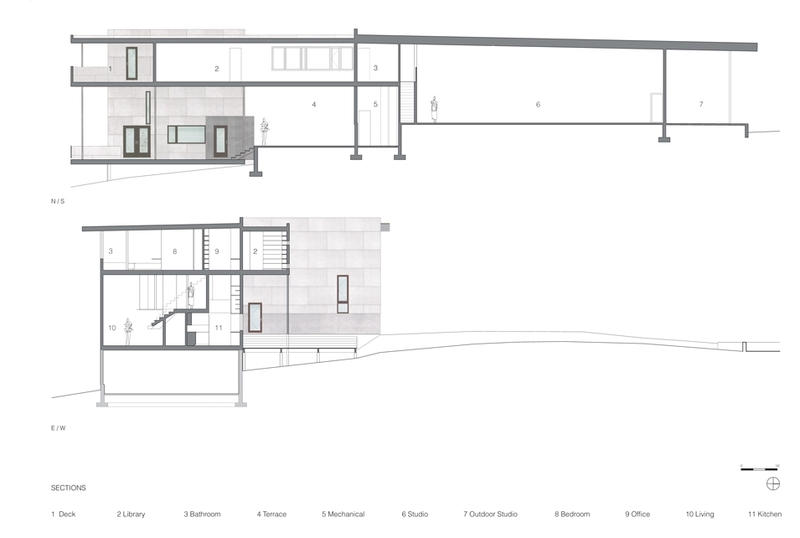 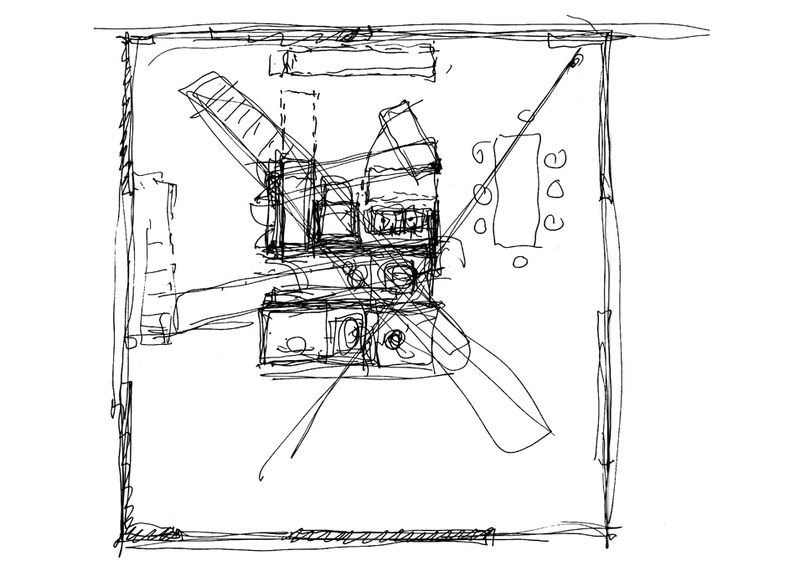 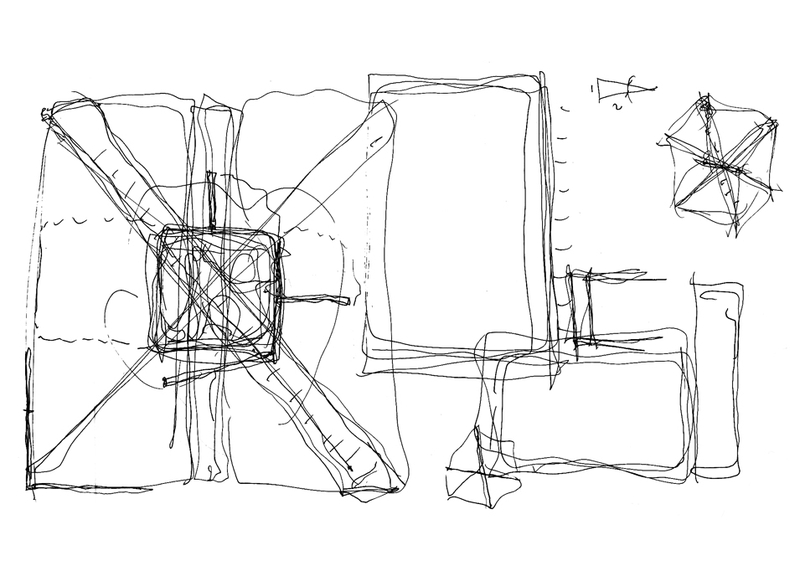 The main level concentrates the functional spaces to the center, and is surrounded by outward focusing living spaces. 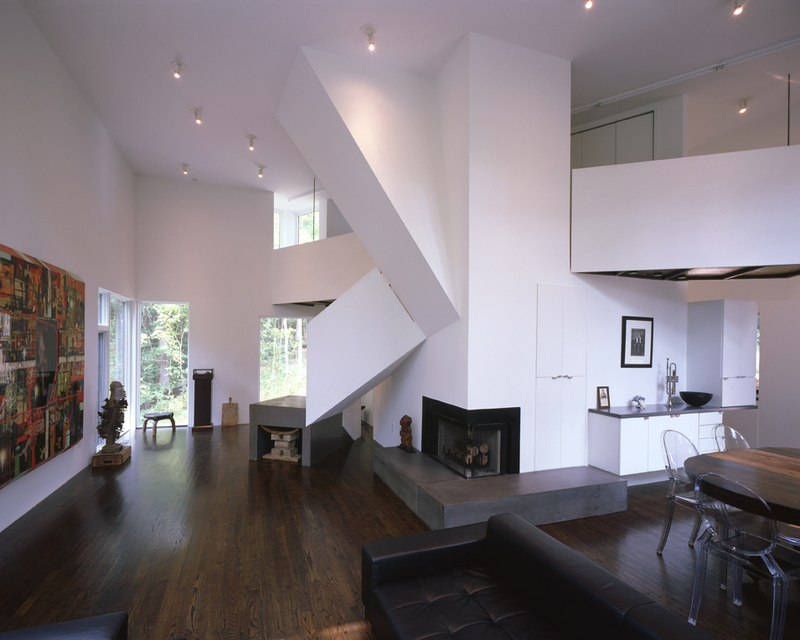 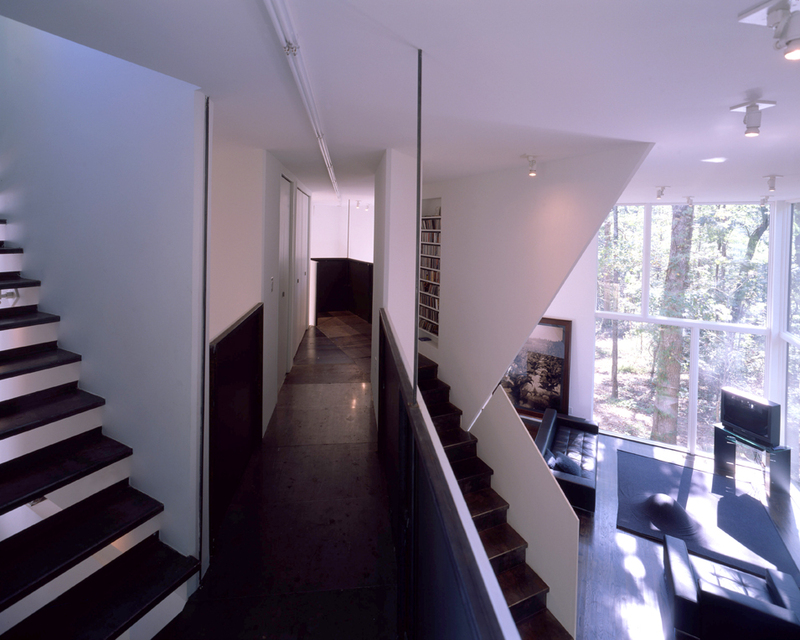 The stair weaves its way, through a mezzanine level, to the bedrooms and office above. 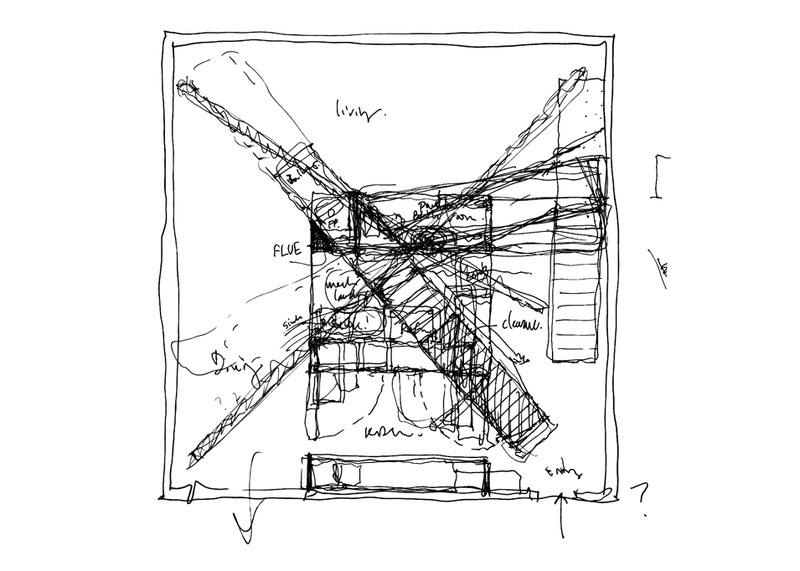 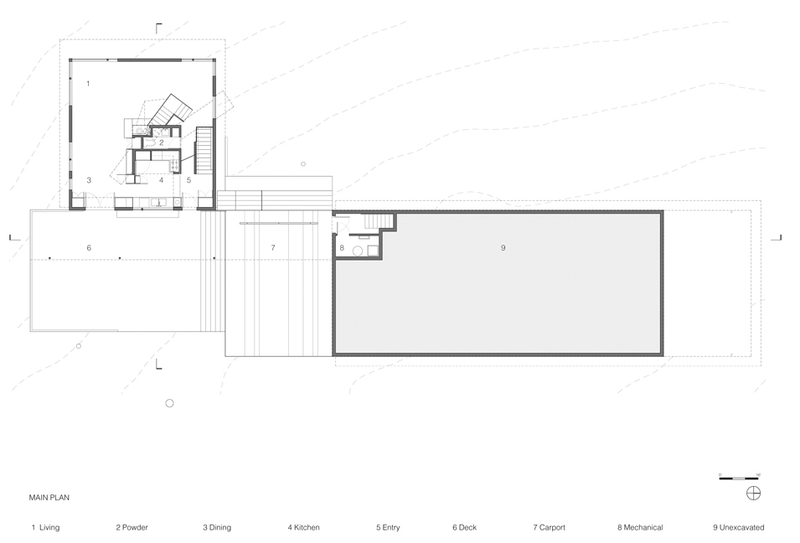 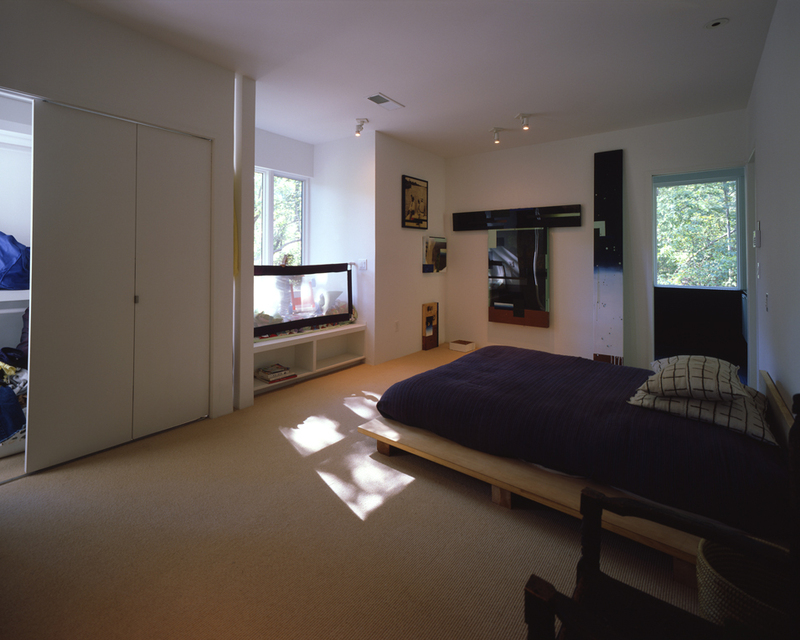 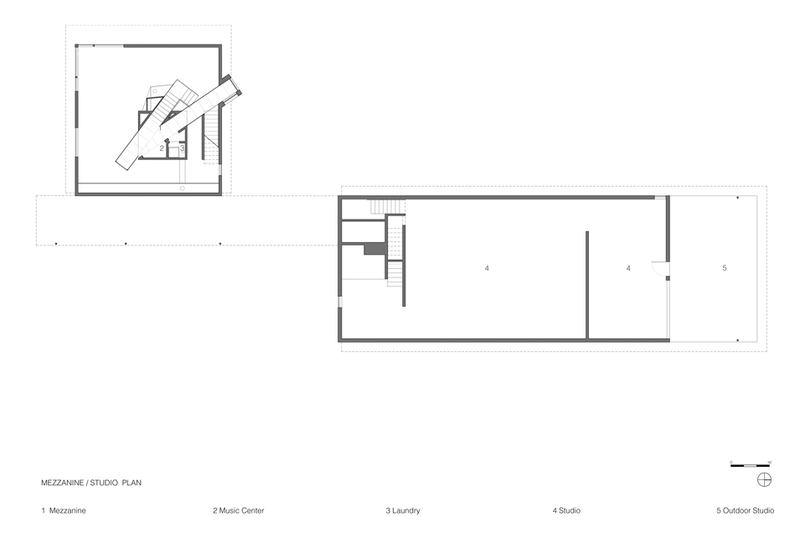 The upper level inverts the main level plan, enclosing the bedroom spaces within the bathrooms, closets and stair. 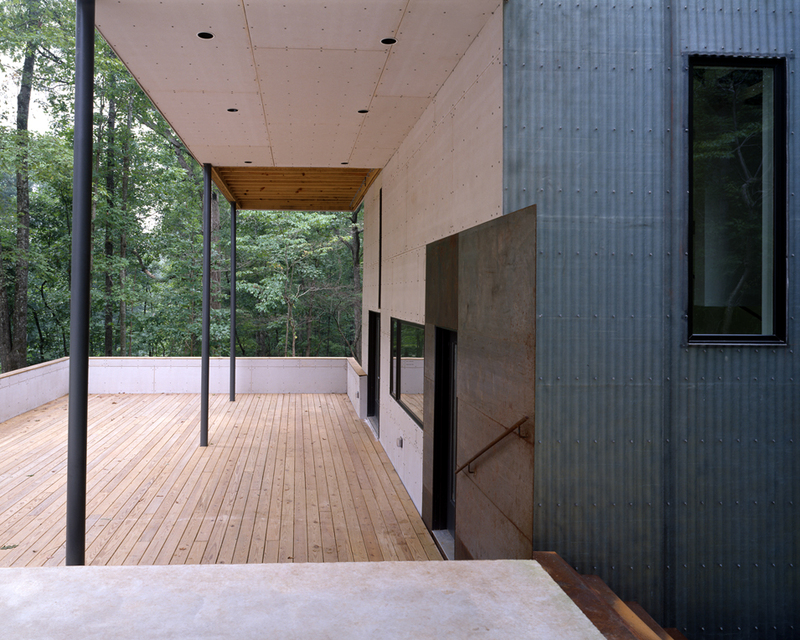 The house and studio are wood and steel framing with concrete fiberboard, corrugated fiberglass siding and membrane roofing.